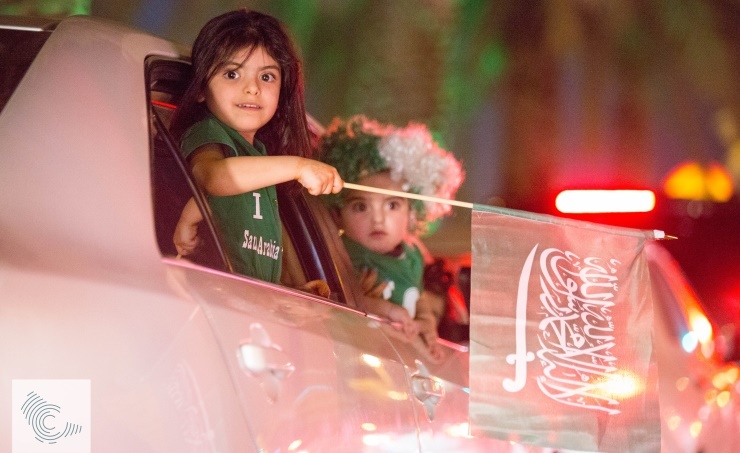 Riyadh, Sept. 24 (BNA): Saudi Arabia has marked it 88th National Day on September 23 with an array of public celebrations and spectacular shows. On Sunday night, Cirque du Soleil, the world-renowned show of acrobats, brought its special magic to King Fahad International Stadium in Riyadh for the company’s debut performance in the Kingdom. It was also one of the largest performances ever by the troupe, the Centre for International Communication (CIC) reported. "With a cast and crew of over 300, this is one of the biggest shows we’ve ever done," said Daniel Fortin, vice president of Creation at Cirque du Soleil. Other extraordinary spectacles were the night-time fireworks displays across the nation, with which Saudi Arabia aims to enter the Guinness World Records, according to the General Entertainment Authority (GEA), the organiser. There were 990,000 fireworks that lit up the skies in many cities across the Kingdom, including the capital, Riyadh. A number of smaller displays were also organised in other parts of the country. One of the more unusual displays was the painting of the largest national flag in the sky using 300 drones, which won a Guinness World Records certificate for the ‘largest pyrotechnic image’. The flag measuring 400 metres in length and 350 metres in width displayed the sword and the Declaration of Faith. Fireworks illuminated the background in green. The drones show was organised in collaboration with the Saudi Federation for Cyber Security and Programming. The fireworks show was expected to break the Guinness World Record established by the Philippines during the New Year celebrations in 2016, when 810,000 fireworks were launched. "This event was one of more than 80 events presented by GEA across the Kingdom, in line with its endeavor and mission to spread happiness and joy across the Kingdom, and enrich the entertainment experience," GEA said. "On this occasion, GEA confirmed that it is keen to present world class entertainment options to all the Kingdom’s citizens and residents, to support the development of the entertainment sector and diversify the entertainment content, thus creating a competitive environment that aims at leveraging the performance of this promising sector." The fireworks were supplied by Grucci, a company headquartered in Bellport on New York's Long Island. The company holds the Guinness World Record for the "Largest Fireworks Display" ever recorded and "Largest Pyrotechnic Image". Known as "America's First Family of Fireworks," the Gruccis have transformed the night skies to the delight of millions across the world since 1850, although they will light up the Saudi skies for the very first time. The public in the capital were also treated to a world-premier performance by the legendary French electronic musician Jean-Michel Jarre. The Green Concert – where the instruments and lights were solar-powered – was meant to simulate the Kingdom’s future, portray the vision of the Crown Prince, underscore the country’s environmental conservation aspirations and highlight its transition to renewable energy. A dazzling world-class 3D visual and architectural lighting display adorned the King Abdullah Financial District as a backdrop for Jarre’s first of its kind concert. "On this great day, the 88th National Day, every Saudi citizen is filled with feelings of pride that have been nurtured since childhood. There is a shared sense of solidarity, love and social cohesion. All citizens of the Kingdom are bound together with brotherhood and social harmony. They are all proud of their leaders, seeing how this land has transformed into a Kingdom that is rich in resources, including human resources," Dr. Awwad Al Awwad, Media Minister, said. 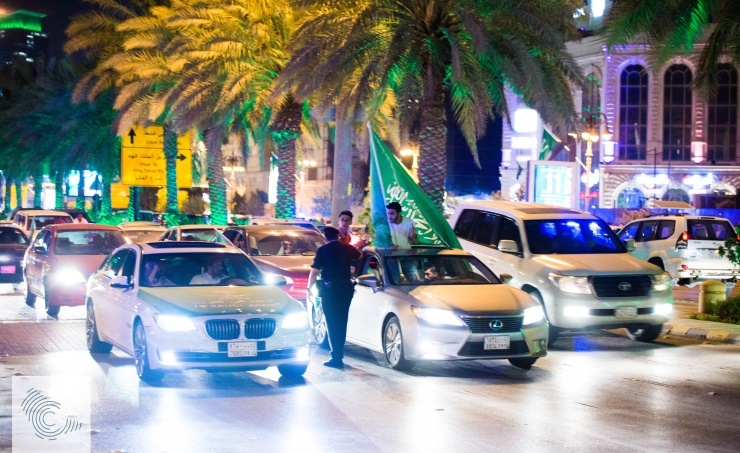 The National Day events and related activities were organised by the Ministry of Municipal and Rural Affairs; Ministry of Media, represented by the Center for Government Communication; Riyadh Development Authority; General Sports Authority; General Culture Authority; and MiSK Foundation.